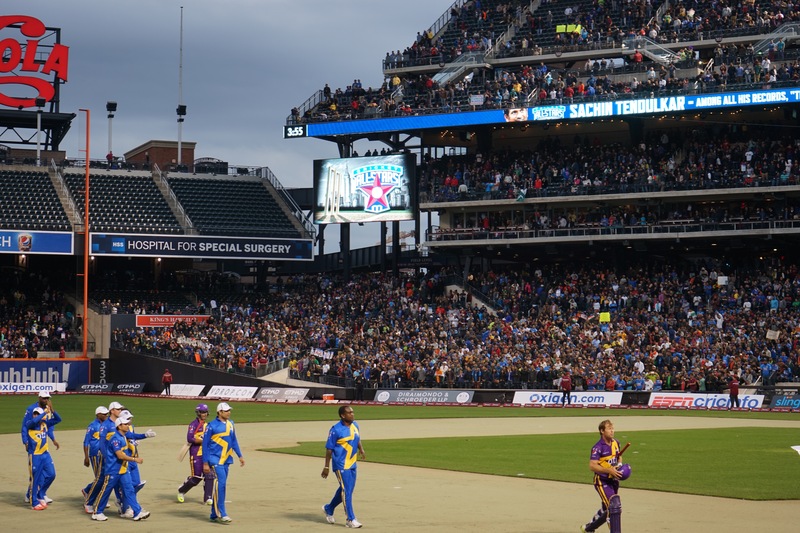 Sachin, Warne, and other legends in Cricket All-Stars at New York! The crowd, noise, craziness, and entertainment was all expected! 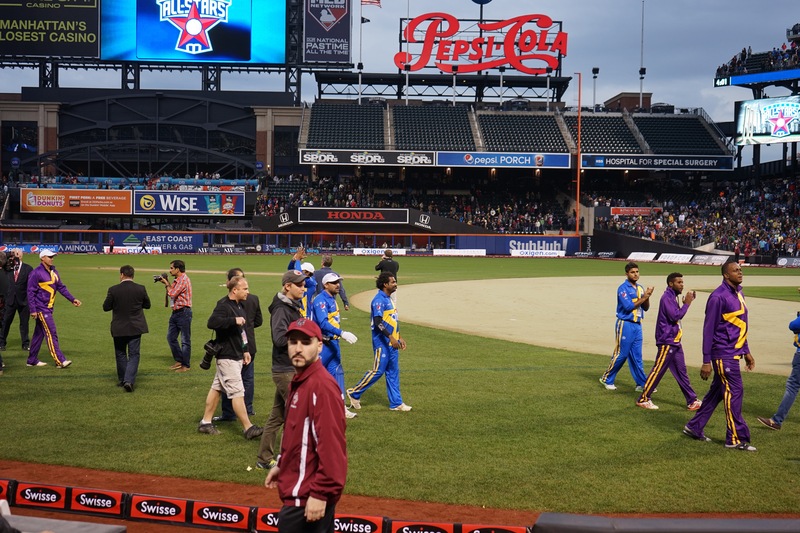 Why not, the Legends of Cricket were in New York! 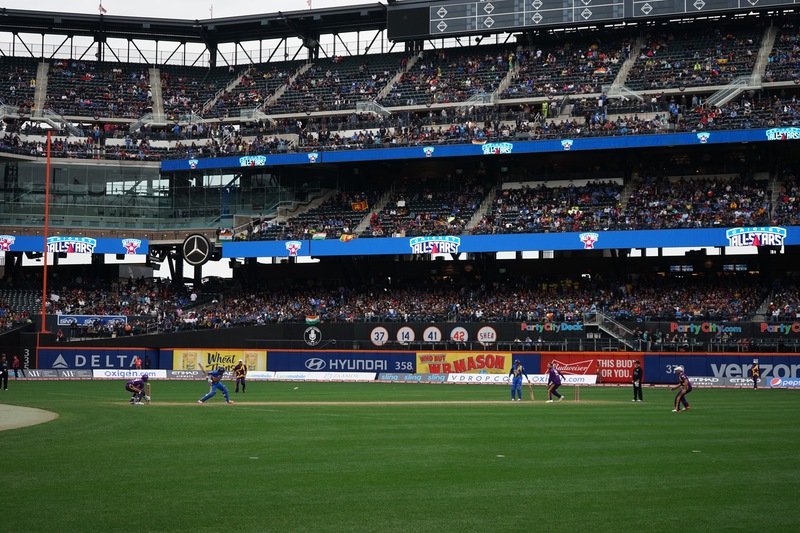 So, we set out to watch first match of the Cricket All-Stars series at Citi Field, home of New York Mets, on Saturday. 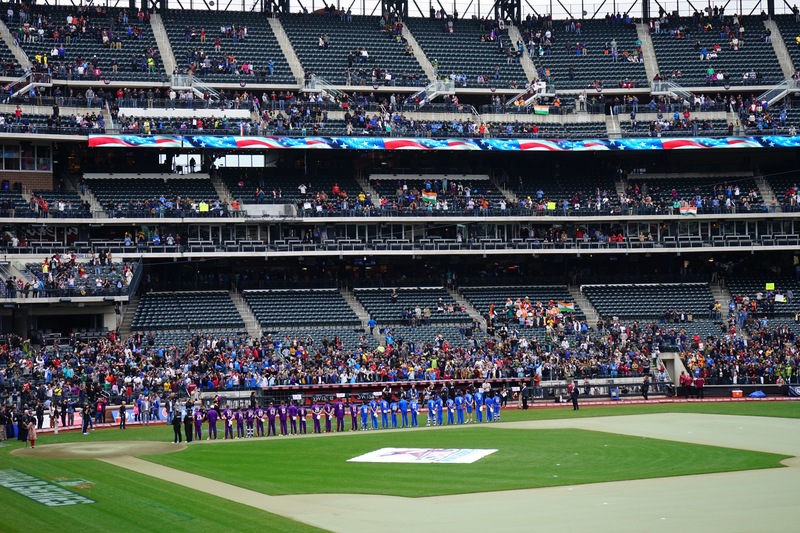 The stadium was absolutely beautiful…though it is for Baseball, it looked amazing with the drop-in pitch laid-out perfectly for the match. 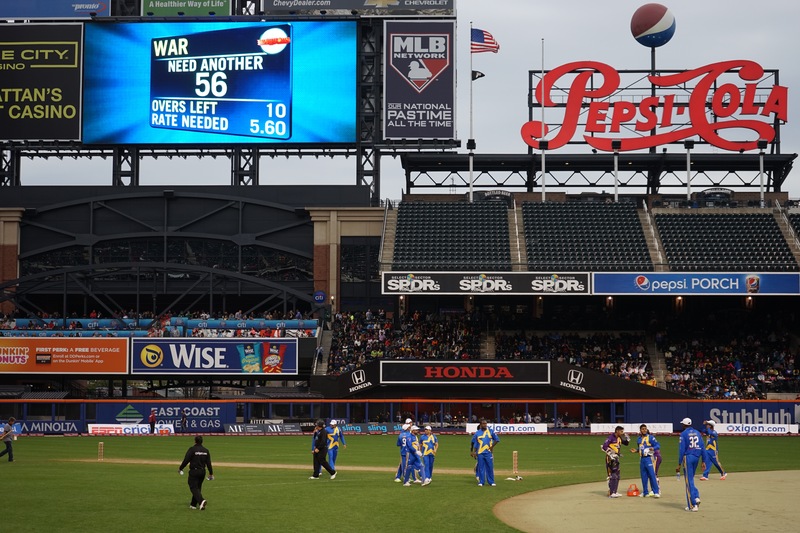 The line-ups of Sachin’s Blasters and Warne’s Warriors looked great though they were picked in a random draw at Times Square. 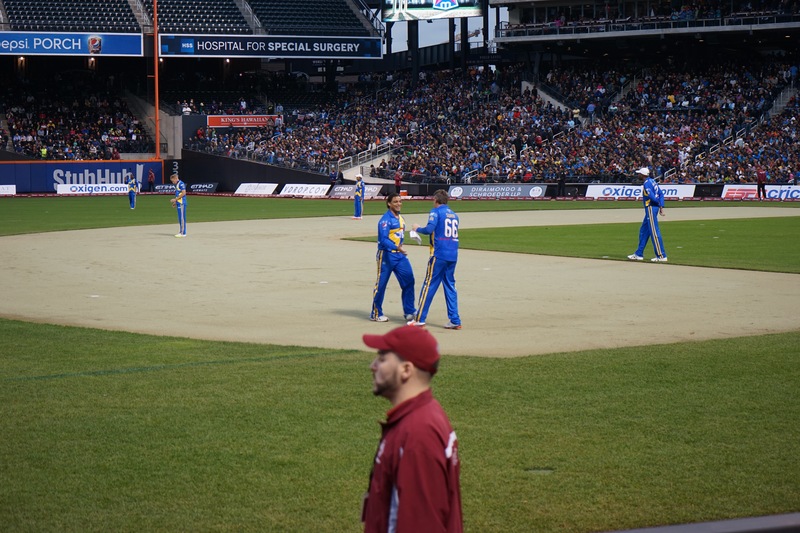 I surely missed seeing Sanath Jayasuriya and Shahid Afridi! 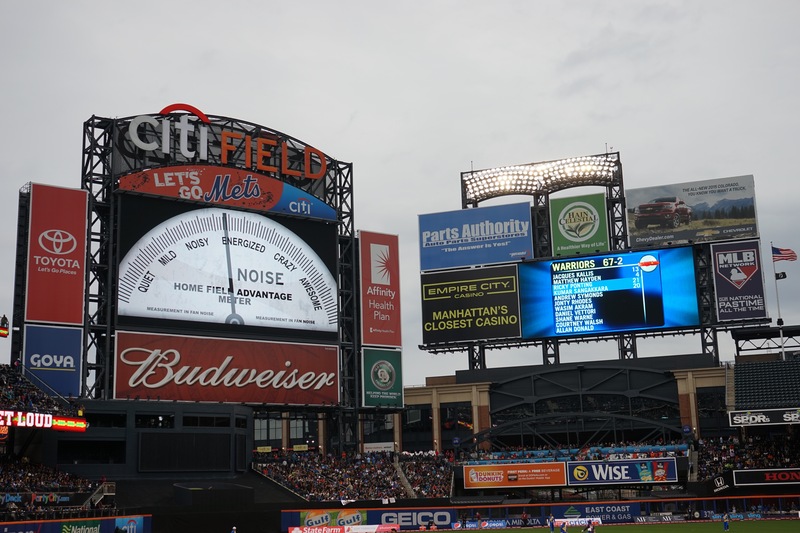 As the giant screen asked us to make noise and get louder, a cheer wave started across the stadium and went on for quite sometime. 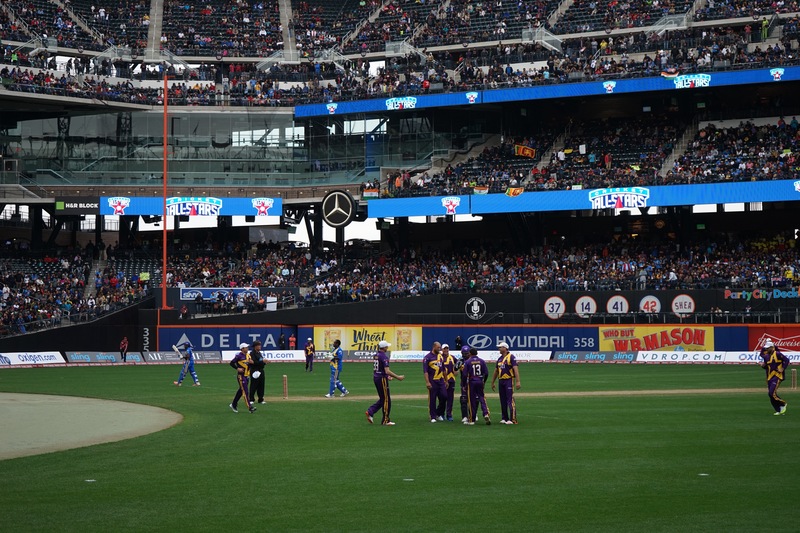 It was quite an entertaining match and i am sure each one of the 36,000 people in the ground enjoyed to the fullest. 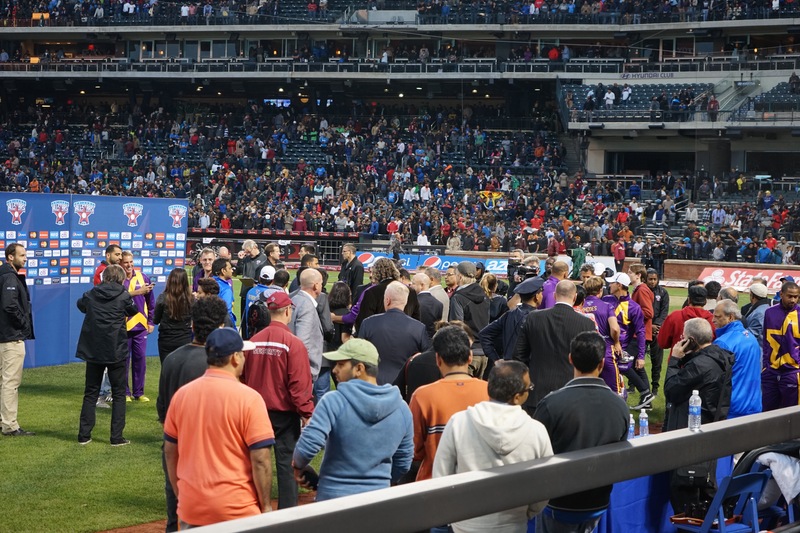 It would be inspiring for the American sports lovers and for the betterment of the game to have more such matches in the US. 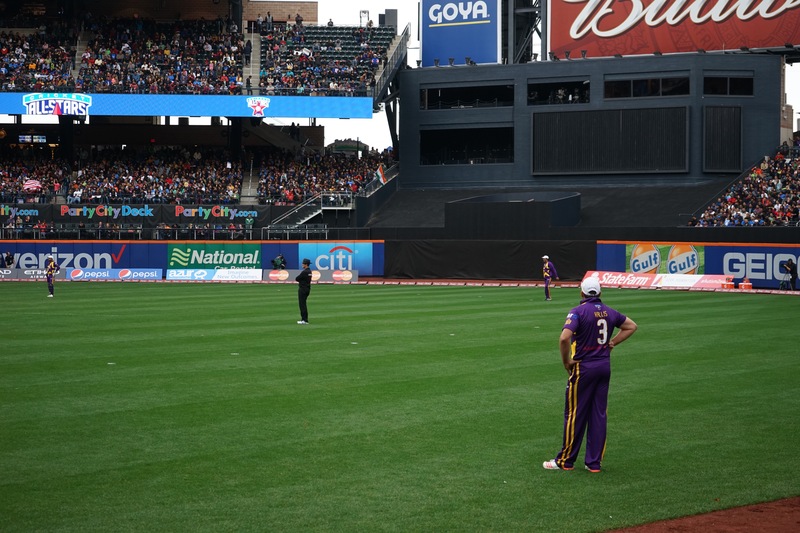 As the Warne’s team were heading for a win, Sachin probably thought he can entertain us with an over. Guess what, he went for a six soon! And, the presentation soon followed with Shane Warne being declared Man of the Match! Man, You are so lucky to watch all of them in a single stage. I have only watched a live match (India vs NZ) and guess what, I am going to India vs South Africa (2nd Test at Bengaluru). You watched a t20, I’ll be watching a test. A special test (100th from ABD). I am so excited for this weekend. Great, i am sure you will enjoy your time watching the match. This was my first time and i thoroughly enjoyed. Hopefully, i will see more such matches in future. Thank you! Thanks a lot, Kamal…appreciate your feedback! I feel so lucky to watch a test match in Bangalore, where Sachin played and Ponting was also there. Glad to know about your experience, Sreejith! 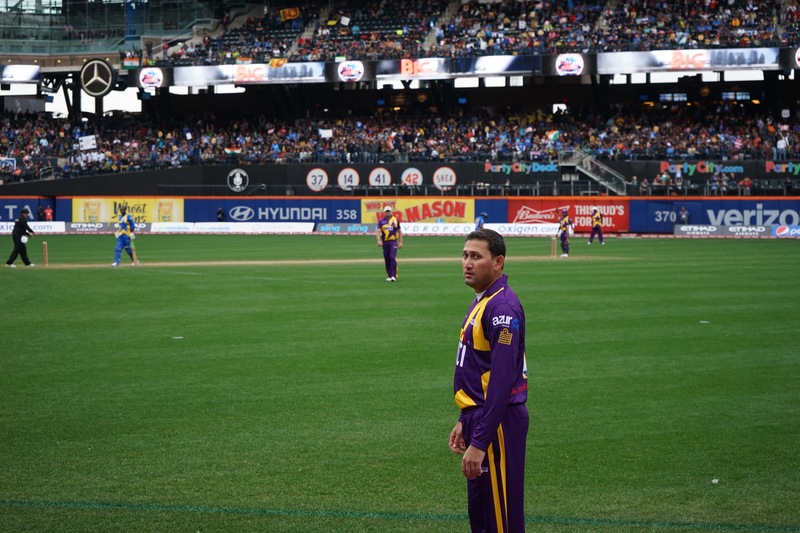 Watching some of the greats is inspiring…i hope they play more such matches around the world! 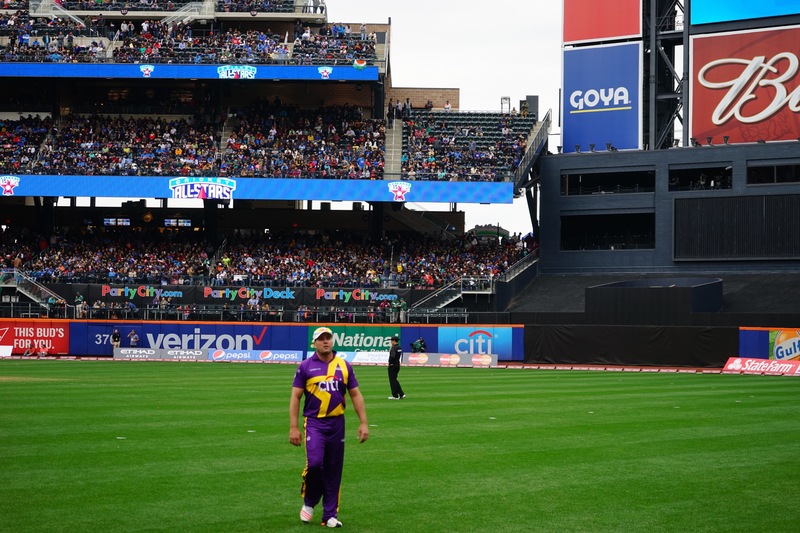 It was great to see Jonty Rhodes again…. sweeping Ambrose for six and then hit Sachin for six by a reverse sweep…… and I never thought I will see Alan Donald bowl again and actually take a wicket ! Also it was good to see Shoiab Akhtar bowling for a change than giving commentery…….. and in the end Ponting showed he always took his cricket seriously… be it exhibition match…. he still has the habit of remaining not out and win the match. Now that the 2nd match is also over and i watched it on TV, i feel it was better than the 1st one – just pure entertainment. The sixes kept me on my toes! but the third was closely fought…. 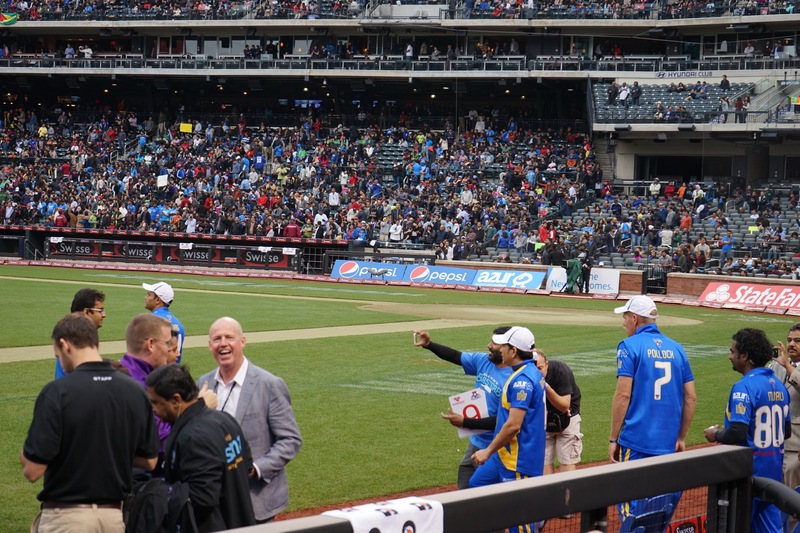 but warne had the last laugh…. I can imagine how thrill the crowd was. Wow, what a cool thing to attend, no wonder you were so psyched! Thanks for sharing. 😀 Psyched is an understatement! That must be a lovely experience especially my husband big cricket junkie. I feel many men (especially in the east) are crazy about Cricket. Lovely game it is! Amazing dear Alok, you watched the legends in the ground. 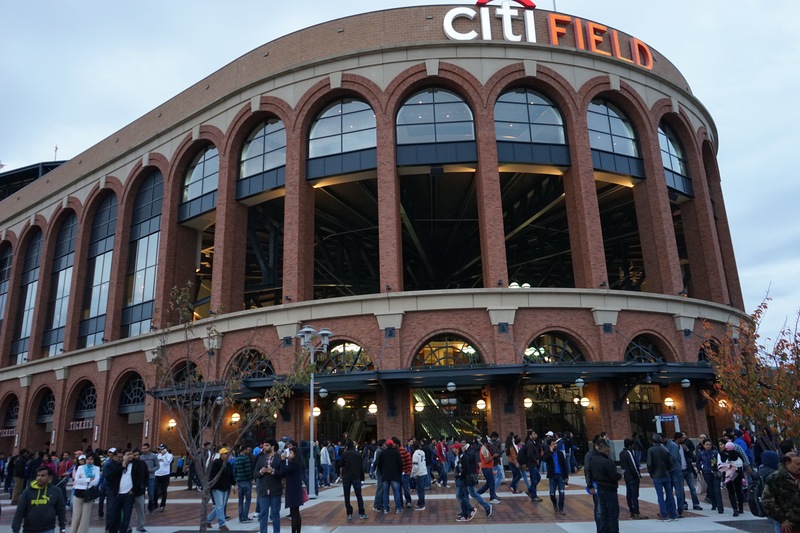 Am glad you are able to see it all live in the action at the CitiStadium. Very nice post with awesome clicks 🙂 enjoyed this much. A delight to watch them…some of them looked quite out of touch though. How fabulous! Wish I’d been there. Now that the series is over, i feel for Sachin’s team…i know they were more interested in enjoyment and betterment of the game though. That’s great that you got to watch it live! We were planning to go too as my hubby is also a huge fan of Sachin !! But unfortunately he was tied in some work on that weekend so we didn’t buy the tickets. It looked like so much fun! It was stunning watching so many greats of the game under one roof! Thank you! Yes all the legends under one roof! Nice post and awesome pics, you are a great photographer. 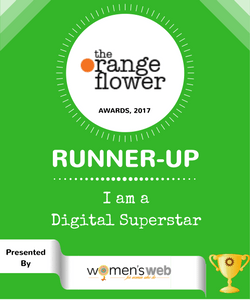 I am humbled, as i don’t consider myself as a Professional yet! Great photos, though I guess the exhibition match would have lacked true competition. If Shane Warne was adjudged the Man of the Match, I suppose he would have bowled well. Interestingly, even without knowing the final outcome, Warne’s team looked the stronger side on paper itself! I got the same comment earlier also, but i guess Sachin’s team was equally competitive – it is just that they did not deliver in the first 2 matches. You are a great photographer. Nice pics. Thanks for sharing. Thank you so much, Jamshed. 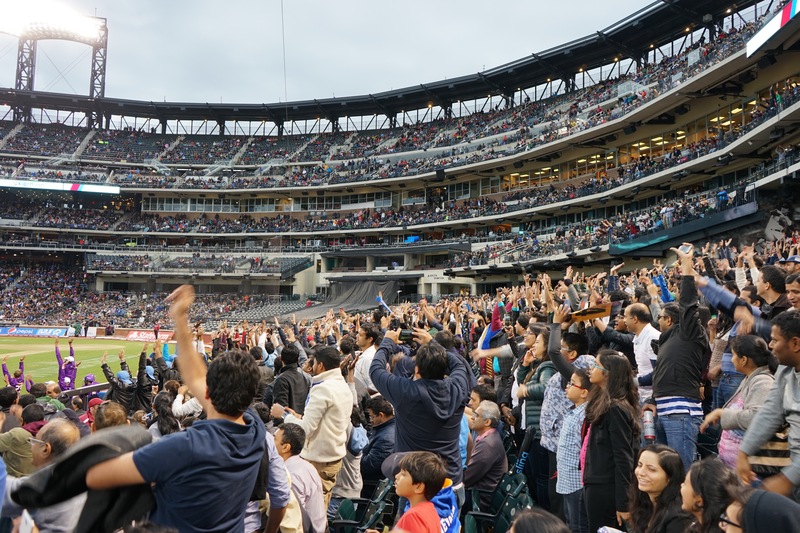 You are indeed truly a big cricket fan! 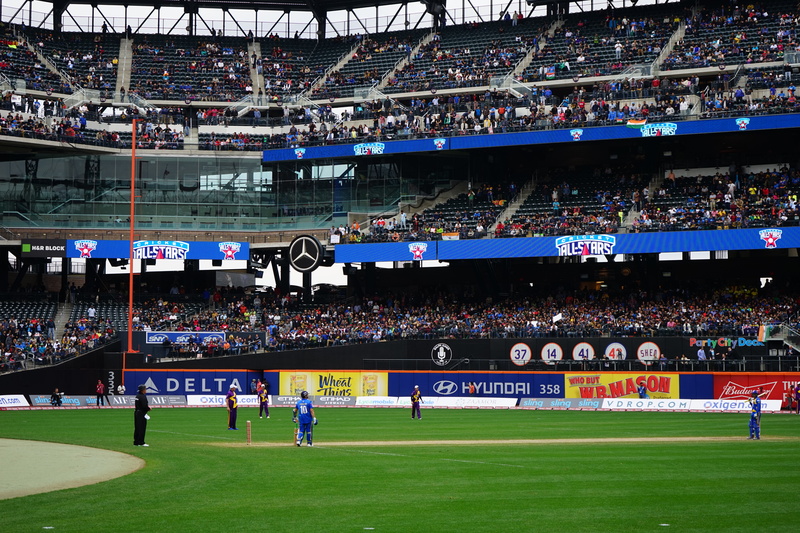 🙂 Are they trying to promote the cricket game in the US? I see you Alok and your thrill of the match imbibed itself to the post and to me. But, I found it a little too tad, like somebody above said, Warne’s team looked stronger even on paper! To think about it is fun, the legends if cricket coming together, but very upaet with today’s match.. for sachin’s side! Sangakara’s 70 from 30 balls was awesome! Warne’s team has all the recently retired in touch with the game players. Sachin’s unforunately has only sewag! Even if it was a draw, a very skwed one i feel, i love ambrose, mcgrath, pollock but .. a game shd be played among equals in terms of form and practice.. sachin’s however lacked all that! 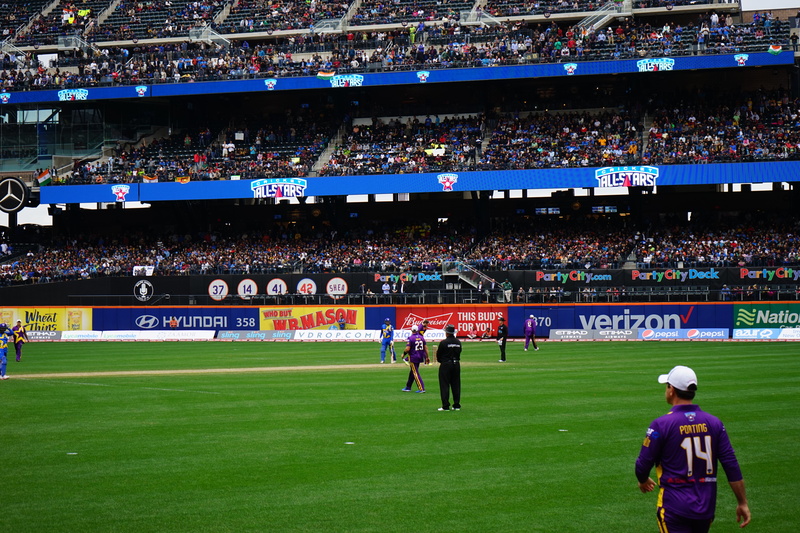 It is a dream to see sachin and ganguly but it also reminded me of gangul in ipl for pune was it!! I would agree to some extent, but still none of the games were one sided. Sachin’s team has quality bowlers too…even they have not been able to do much. I agree, entertainment at its best! Can’t agree more with it! Thank you! 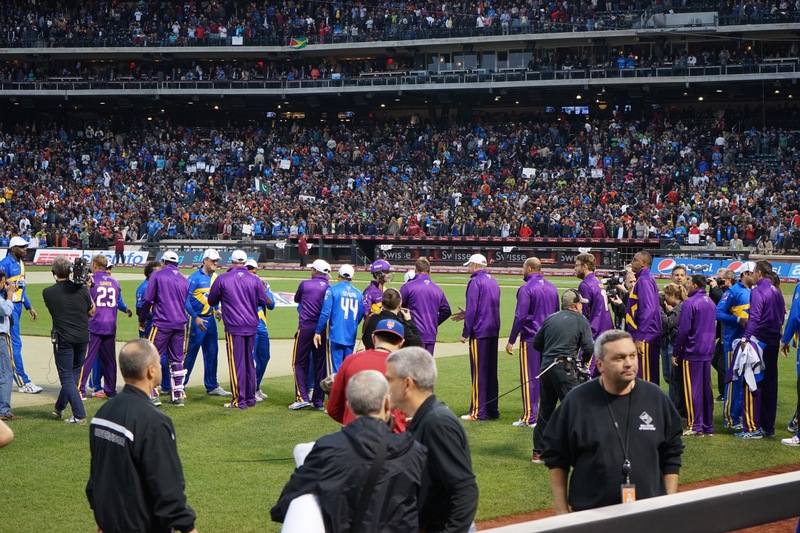 I am sure that would have been an awesome experience to see so many legendary cricketers play together. Looks like a great day of Cricket. Must have been a awesome experience. Yes, a day to cherish! Sounds exciting. Someday I’ll have to learn something about the sport. It is not that difficult; and who knows, it might become regular in US too! Great knowing about his love for the game…many Indian men are. Good that he has other options to watch too. Great game. All players were equal here. Yes, that’s why they didn’t chose the sides. That must have been a experience of a kind. I’ve never watched a game at a stadium but I would like to sometime, more to feel the energy in there than watch the game itself. 😉 :D.
Yes, Rakesh. I feel, being an India, you should know the game inside out! Loved how these games were played in a friendly manner. Have grown up watching these legends. Always a pleasure to see them on the field again. So true…I too loved every bit of it! Lucky you, getting to watch the legends from so close. Great post! Thank you very much, Piyu! 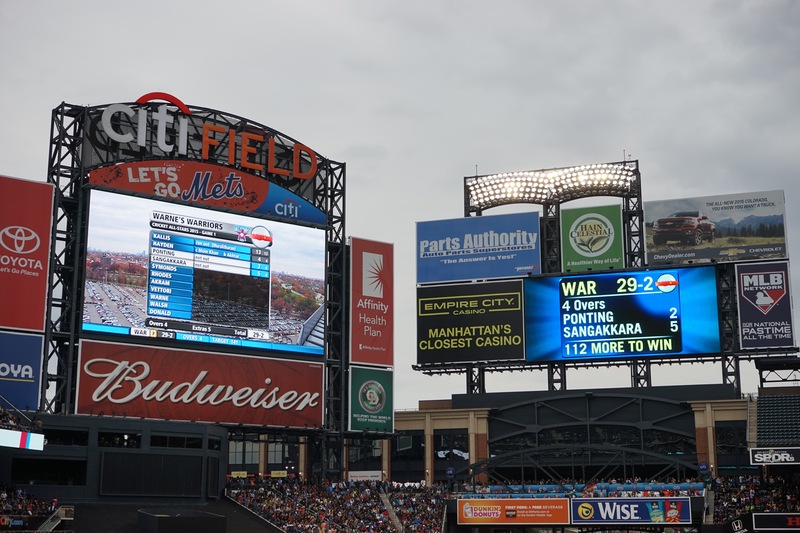 I felt they were more-or-less equally balanced…just that some players looked out of touch. While the cricket wasn’t great, it was really exciting to see guys like Shoaib Akhtar still bowl faster than many of our own Indian fast bowlers ;). And I am sure for all of you it would have been a once in a lifetime opportunity to see all of them in one stadium together. 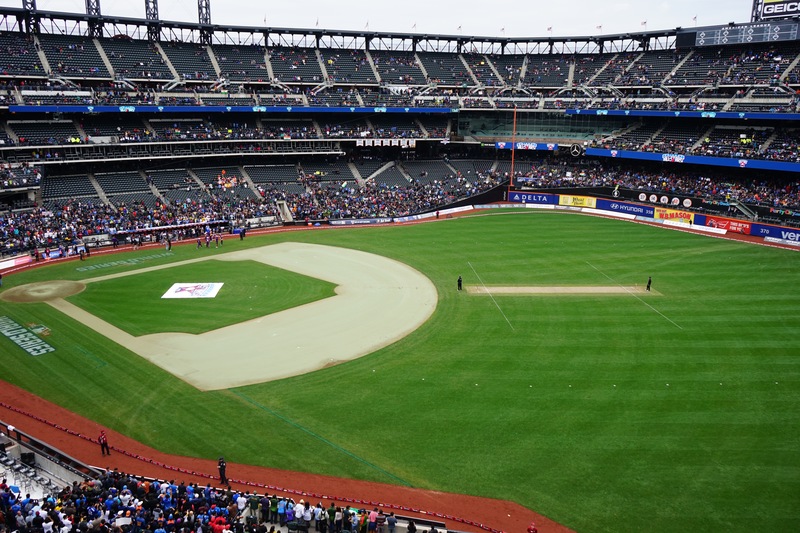 I have been to one IPL game. But yeah nothing beats seeing so many legends live together :D.